Evandro Teixeira's photograpy is the permanent collections of the Danforth Museum of Art, Framingham, MA, Fogg Art Museum, Cambridge, MA, Museu de Arte de Sao Paulo, Sao Paulo, and Worcester Art Museum, Worcester, MA. 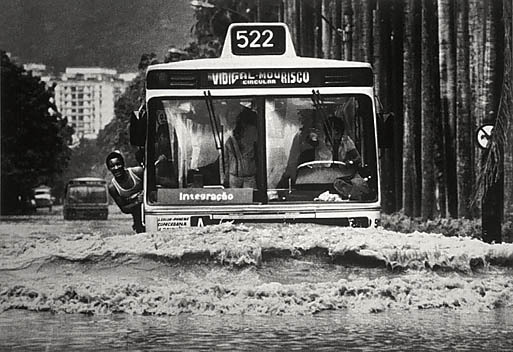 One of Brazil's most important photojournalists presents his nearly 60 year career, in more than 150 images in the MAR (Museo de Arte do Rio). Andrade, Carlos Drummond de, Resende, Otto Lara, Callado, Antônio. Rio de Janeiro: Fundacao Nacional de Arte, Funarte (Brazil) and Consejo Nacional de la Cultura (Venezuela). 1997. Calldo, Antonio and Bentes, Ivana. Sao Paulo: Editora Textual, 1997. Bravo, Manuel Alvarez and Billeter, Erika. Fontenelle, Paulo and Teixeira, Evandro. Documentary film on Brazilian photographer and photojournalist Evandro Teixeira, written and directed by Paulo Fontenelle. Rio de Janeiro, Brasil: Editora 7 Letras, 2014. Interview with Jornal do Brasil's photographer, Evandro Teixeira. Rio de Janerio: Edições de Janeiro, 2015.